This past weekend marked the opening of Cope2's second exhibition at Inner State Gallery. This new body of work, Juggernaut, spans the styles of his nearly 40-year career on canvas, wood panels, street signs and lots more. View the gallery below and shop the collection of works only on 1xRUN . . . This RUN is signed, numbered and comes with a Certificate of Authenticity from Cope2 and 1xRUN. Due to sizing this RUN does not come with a framing option. 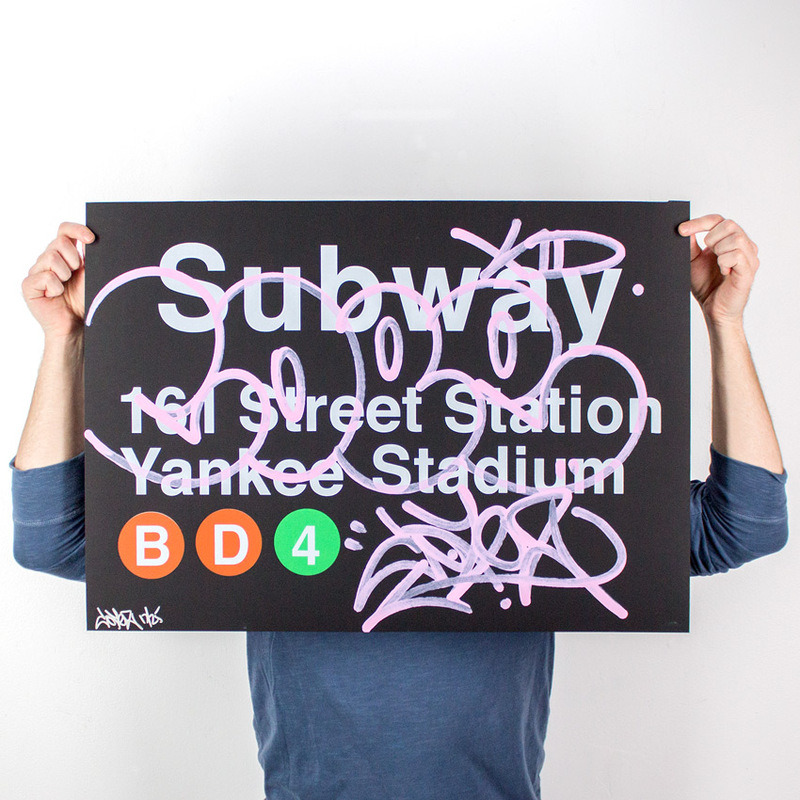 Note: Each print in this RUN is uniquely hand-painted by Cope2 and is pulled from its respective edition of 25. Born 1968 as Fernando Carlo, Jr. in New York City. Cope 2’s paintings have been exhibited in solo and group exhibitions in galleries and museums throughout the United States and internationally. He is a self taught artist who is a celebrated legend contributing over 30 years to the graffiti street art culture. 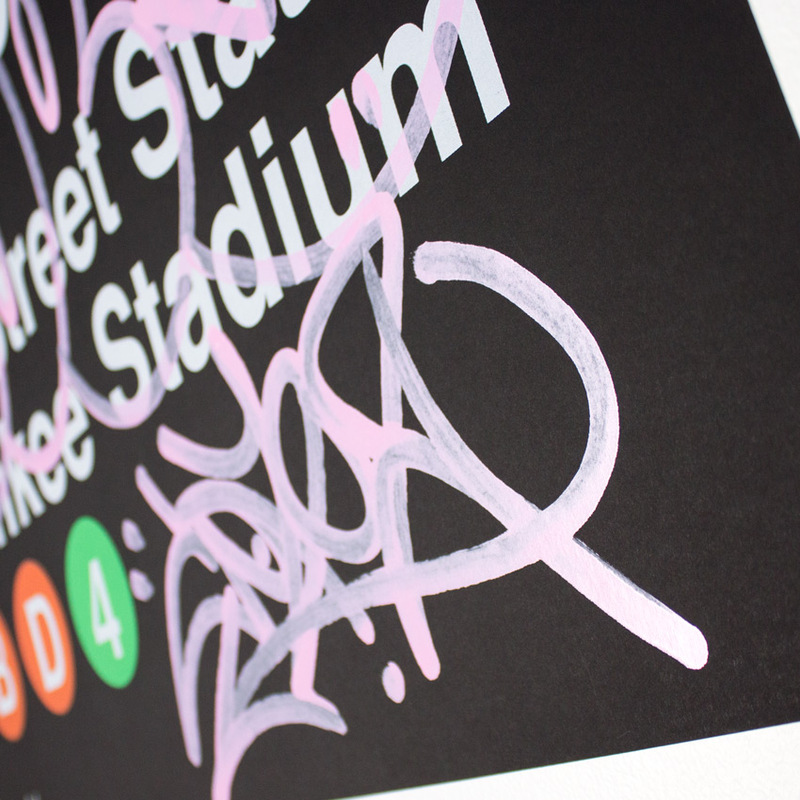 One of New York City’s most prolific graffiti artists, he began tagging his name in the South Bronx in 1978. 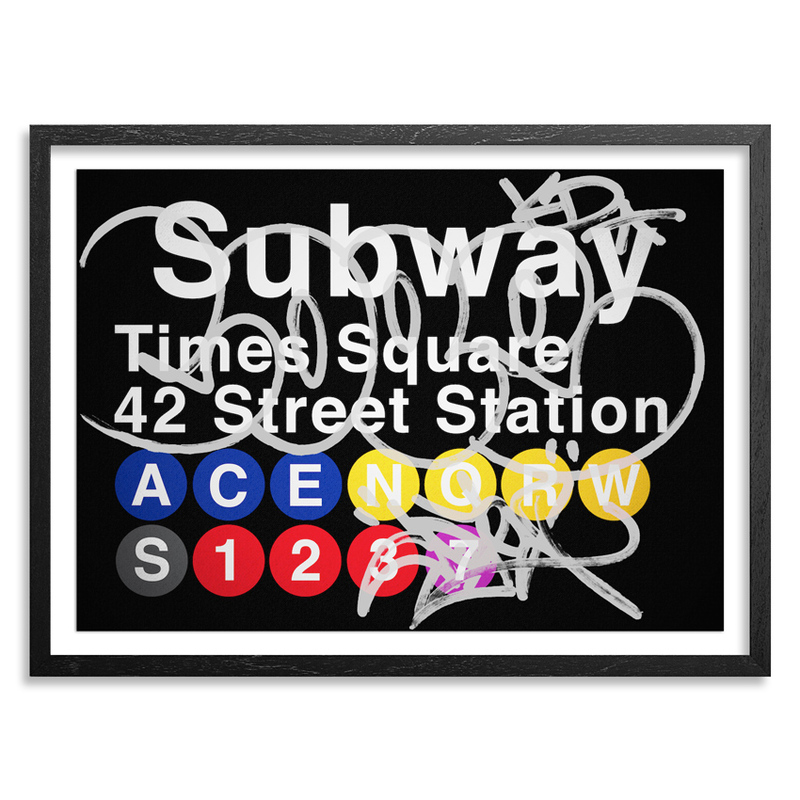 He developed his style in the subways and streets of the Bronx creating graffiti productions throughout the 1980’s and 1990’s achieving international recognition for his distinctive style.